Making use of a LEO EVP vertical multi-stage pump and VSD (Variable Speed Drive) controller to ensure adequate water flow at specific pressure levels. 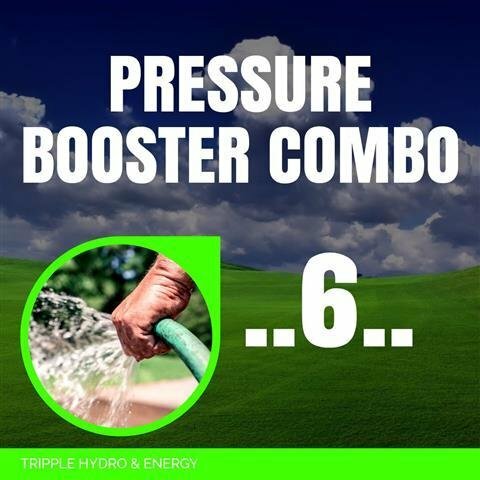 The EVP pump combo is fully adjustable from low to medium speeds and capable of pressure ranges from 2 to 7 bar pressure at a flow of up to 175 l/min and is ideal for extra large homes/guest houses with large garden irrigation applications. 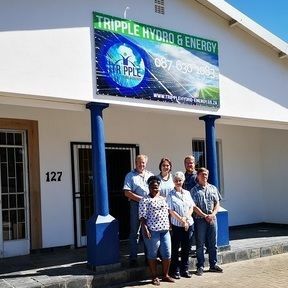 Further more this booster system utilizes a 3 phase motor powered by a single phase input power supply to optimize energy saving in large installations.